Costello Kids UK was established by Colin and Catherine Stone in 1995 when they discovered their daughter, Helaina, had been born with Costello syndrome. Costello syndrome – also known as faciocutaneoskeletal syndrome – is an extremely rare and severely life-limiting genetic condition with only around 500 diagnoses worldwide. Given the lack of information available about Helaina’s condition at the time of her birth, Colin and Catherine wanted to campaign for a better understanding of Costello syndrome, and to share their findings with other parents going through similar experiences. Costello Kids now works with the scientific research community to discover more about the condition, and co-ordinates an international network of Costello syndrome kids and parents, organising conferences and providing families with valuable practical and emotional support. Costello Kids UK’s mission statement sets out its aim to further the understanding of Costello syndrome in order to improve the quality of life for children with the condition; to provide effective community support to improve the quality of life for parents and siblings; and to influence attitudes towards the condition through education. We campaign for research into Costello syndrome, working with scientists on specific areas of research into the disorder, and organising symposia and international conferences at which scientists can meet and exchange ideas. We provide support and information to parents. Finding out your child has a rare genetic condition can be a lonely and frightening time. Almost all parents who hear the diagnosis have never heard of Costello syndrome before, and find that their medical professionals know little more than they do. 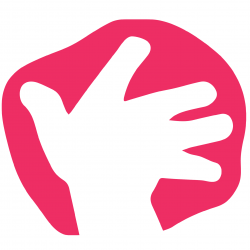 The ListServ website, set up and maintained by Costello Kids UK, is an online community of parents who share stories and advice, giving confused and worried parents the crucial assurance that they’re not alone. “[Costello Kids’ support group] has been a godsend for me. It was the first group to give me clarity, relief, and comfort when my son was diagnosed with this disease. The primary beneficiaries of our scientific research campaigning are, of course, children born with Costello syndrome. With every new discovery we make about the syndrome, we find out a new way to improve the quality of life for a child living with the condition. Parents of new babies born with Costellos feel desperate to know more about what their child is going through, and are frustrated by the lack of clarity from the scientific world due to the knowledge deficit. The more parents know about Costello syndrome, the better they can ensure their children are well supported and their discomfort is minimised. Our parental network is absolutely vital to mums and dads all over the world. 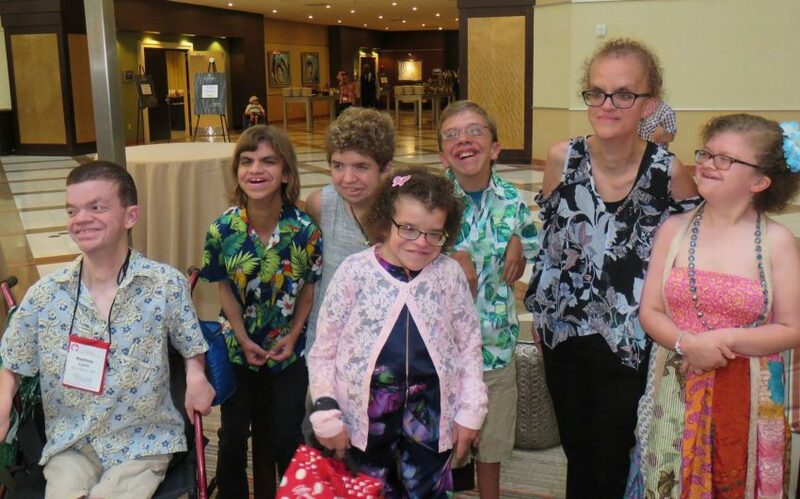 Costello syndrome does not discriminate by location – children all over the world can be born with it, and although Costello Kids UK has made progress by working with scientists and researchers in this country, the US and others, many parents in other nations unfortunately find that their local doctors do not have the knowledge to be able to offer them the valuable support they need. In cases like this, Costello Kids UK’s network can offer parents a priceless lifeline. A Somalian mother who didn’t understand the symptoms her baby was showing walked miles, barefoot, to an internet cafe in order to look the symptoms up online. She discovered the Costello Kids UK website and got in touch. A scientist we have collaborated with arranged to have samples sent to Europe, and was able to confirm the diagnosis of Costello syndrome. Costello Kids have been providing emotional support and practical advice to this family ever since. “The Costello world was incredibly overwhelming: the medical needs, the diagnosis, the prognosis, the rabbit-hole that is online information, the appointments. Until you’ve walked the path yourself, you couldn’t have ever fathomed this world. Understanding Costello syndrome could also result in breakthroughs which reach far beyond the children and families we work with. The close links between Costello syndrome and tumour development mean that understanding Costellos could help the genetic research field to understand cancer, too. This is illustrated by the many researchers in the cancer field who have taken a close interest in Costello syndrome. Every parent worries when their child has health problems, but with Costello syndrome many problems are incessant, distressing and extremely painful. Because so little is known about what makes these problems so severe in Costello kids, doctors tend to prescribe the same solutions they might in a non-Costello sufferer; for example, a laxative may be given to a child suffering from constipation. As Costello syndrome causes severely low muscle tone, however, these treatments don’t actually have the same effect on the children, and may not work at all. Many children reach a point of such discomfort that they end up in hospital being treated with enemas. This is, of course, extremely stressful for the child, and very upsetting for the parents and families. Such treatments also do not address the underlying cause of the discomfort, merely providing temporarily relief. Even worse, this lack of understanding about issues can delay the diagnosis for far more serious conditions like cancer. With our own daughter Helaina, we experienced doctor after doctor – including in accident and emergency – telling us Helaina was just suffering from constipation, delaying her eventual diagnosis of stomach cancer. Needless to say, this sort of delay could have lethal consequences for children. We need to find out more about Costello syndrome so that we can establish the best practice for preventing or alleviating the symptoms, and provide parents with the information and support they need to reduce their child’s discomfort. Please support us in our mission to improve the quality of life for children with Costello syndrome. Making this grant to Costello Kids UK would be of incalculable value not only to the children whose young lives could be significantly improved by a better understanding of their symptoms, but also to their families currently left confused, stressed and alone by Costello syndrome. In addition, a better understanding of the condition could prove critical in other fields, particularly in the understanding of cancer. Please consider making a donation of £5,000 to help us achieve our objectives, and provide a lifeline to children and families affected by this life-limiting disorder. We would be happy to answer any questions you have about Costello Kids UK or about this specific project, should you wish to know more.